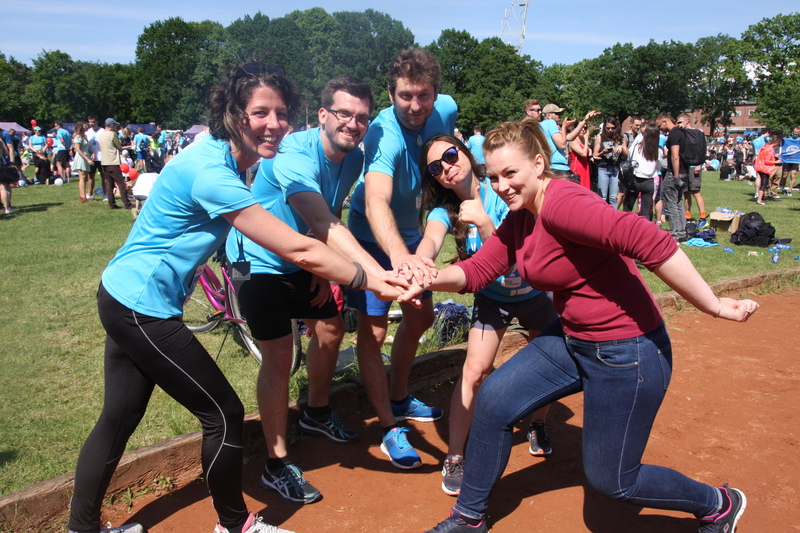 It is becoming a nice Translavic tradition: on Saturday 19 May, a team of fanatical runners appeared at the start of the annual 5×5 km relay race for companies in Wrocław. A staggering number of 6,500 employees from numerous companies took part this year in this steadily growing charity event. Each year, the registration fees are used to finance the medical treatment of a number of underprivileged children. This year, Translavic almost struggled when one runner had to drop out at the last minute. Fortunately Tomek, the boyfriend of our team captain Iwona, came to the rescue and managed to cover the 5-kilometre distance twice. In addition, steady runners Sébastien, Patrycja and Mirjam performed well, meaning that the team finished well within the set time limit.